Meet Baby T, aka, the most perfect baby ever, aka Teodora. This here is my niece (or cousin technically- but since I'm 25 years older than this 12 week munchkin, I am going to pull a higher rank :P). Anyways, this teddy bear is the sweetest little girl I have ever met. My Aunt lives in Oakland and my brother and I took a road trip to finally meet our newest family member. While we stayed with them we got to really experience her. She is so calm, so easy going, so free of stress. At just 12 weeks this girl is so curious, so calm, and pretty active- yet very peaceful. I have to applaud my Aunt on her 'first time' mom skills and say that you, Irina, are doing a fantastic job. I love seeing how much you love your new role in life and seeing your girls eyes light up everytime she sees you. Your baby girl is going to grow up and be magical, I can just tell. Can't wait to see you again, little one <3. We (Anna and I) did a surprise photoshoot for Justin's first Father's Day. Anna wanted to surprise her hubby with the cutest little gifts you could image for Father's Day! I had so much fun photographing Scarlett, it is exciting to watch her grow (I've known her since she was born). This girl has so much personality and lights up the room with her smile and signature tongue sticking out- oh and she's getting her first teeth! Baby sessions are really something special! Zoe is the sweetest, smartest, wittiest little girl that you will ever meet! We met at a ranch/park near where we live to shoot some "make up school photo day" photos. We ran around the property in between the trees and had so much fun that I think we both forgot that this was a formal photoshoot. She is such a fun spirit and has the best personality! Well, you met mom and dad, I thought it was time for you to meet baby! This is Scarlett and this was her first Valentine's Day! We had fun with mom baking goodies and decided to do a mini session with Scarlett while our cookies were cooling. I absolutely love baby sessions--Scarlett is 4 months old. Chenda and I met at Crossfit and quickly became friends. After meeting her daughter Danica, I knew that we needed to schedule a shoot as her daughter is just the cutest little girl! 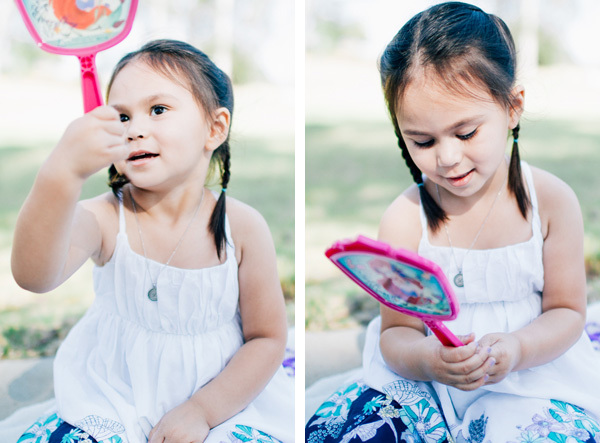 Danica was so cute throughout the whole shoot. Rather than asking her to say the typical "cheese" to get her to smile we kept asking her to talk about desserts with us. I learned that Danica loves red lollipops, chocolate cake, picking up sticks, using pixie dust only when it is appropriate, and her parents very much! Check out our fun little shoot below!